Tempura with a crisp and golden yellow coat that wraps fresh food ingredients is ideal for serving with udon noodles. 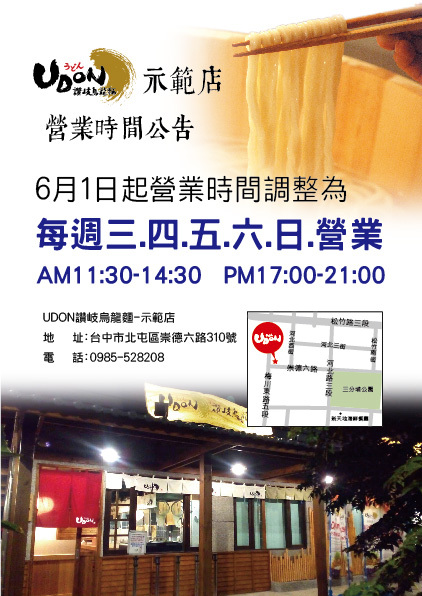 Numerous specialty farm products can be provided in Taiwan during four distinct seasons. 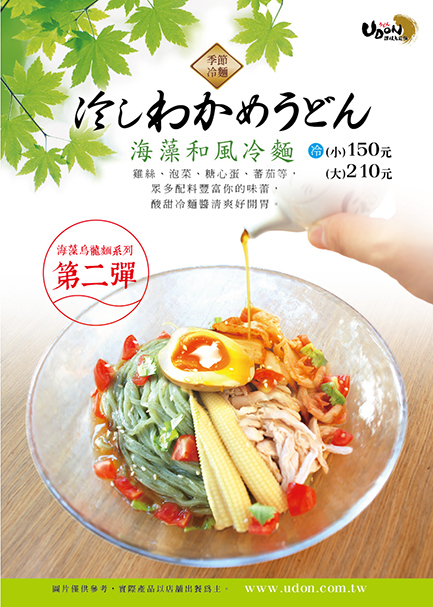 In our shop, we can serve you seasonal food with unique flavors and nutrition. 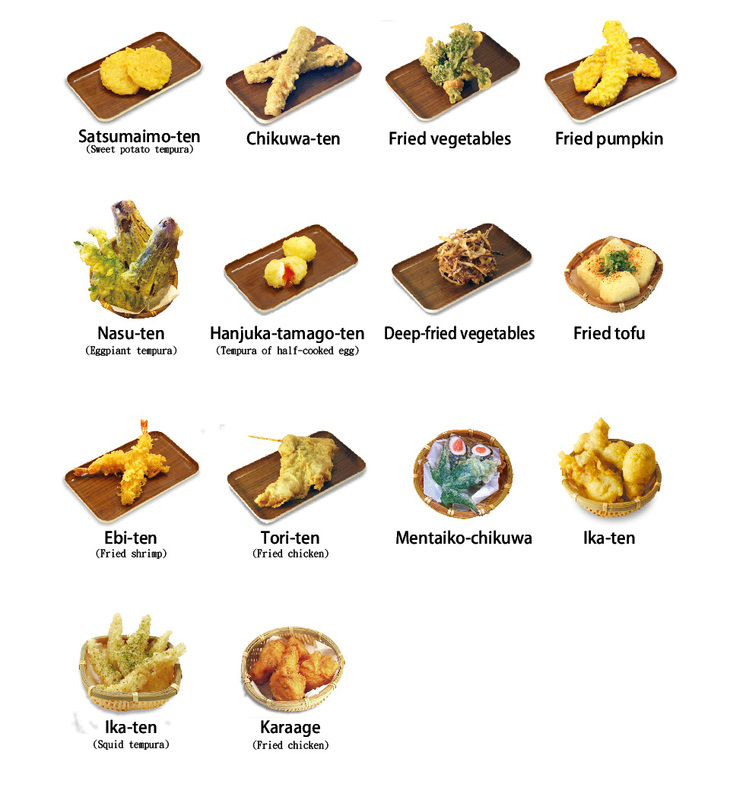 ※ The menu of tempura may change depending on the seasons; so the menu below are only provided for your reference and you are welcome to our shop to check the exact menu.